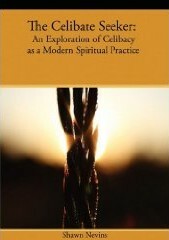 The Celibate Seeker Celibacy as a modern spiritual practice, by Shawn Nevins. 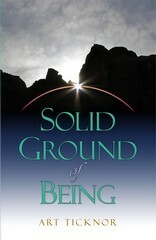 Solid Ground of Being A Personal Story of the Impersonal, by Art Ticknor. At Home with the Inner Self Informal talks with Jim Burns. 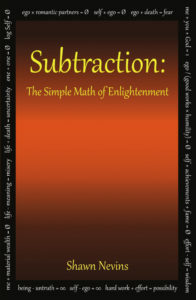 Subtraction The Simple Math of Enlightenment, by Shawn Nevins. 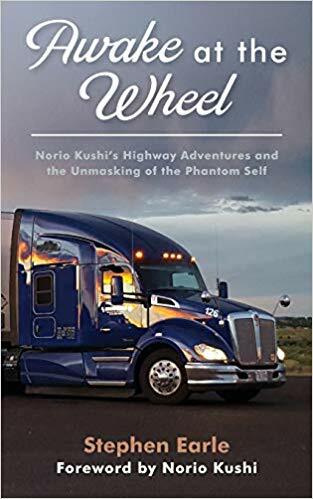 Awake at the Wheel Norio Kushi's Highway Adventures and the Unmasking of the Phantom Self, by Stephen Earle. The Supreme Doctrine: Psychological Studies in Zen Thought. Now published as Zen and the Psychology of Transformation: The Supreme Doctrine, by Inner Traditions (Rochester, VT; 800/246-8648). Amazon link. The Interior Realization, published by Samuel Weiser, Inc. (York Beach, ME). No longer in print; now available in The Light of Zen in the West (see above). Amazon. The Practice of Zen. Appears to be out of print. May be available through on-line used booksellers (see others links below). Amazon listing. The Master Game, back in print (2003) published by Gateway Books & Tapes (E.J. Gold organization; Nevada City, CA). Amazon link. Instant Zen: Waking Up in the Present translated by Thomas Cleary. Published by North Atlantic Books; also available from on-line booksellers including Amazon. The Gospel According to Zen, "an extraordinary ecumenical collection of readings in the new consciousness... with commentaries by Erich Fromm, D.T. Suzuki, Alan Watts, J. Krishnamurti and others," edited by Sohl & Carr, published by Mentor, also appears to have gone out of print. Amazon listing. See Publications of the Greatest Teachers on this site for a complete list of his works and publisher link. The Zen Teaching of Huang Po: On the Transmission of Mind, translated by John Blofeld (whose autobiographical Wheel of Life was published by Shambhala), published by Grove Press. Also available from on-line booksellers including Amazon. The Zen Teachings of Hui Hai on Sudden Illumination, translated by John Blofeld. 2006 and 2015 editions published by the Buddhist Publishing Group. Amazon listing. The Sutra of Hui-neng (also known as The Platform Sutra), translated by AF Price and Wong Mou-lam. 2008 edition published by Counterpoint. Amazon link. Published in one volume together with The Diamond Sutra by Shambhala; also available from Amazon. The Sutra of Hui-neng, with Hui-neng's Commentary on the Diamond Sutra, translated by Thomas Cleary, back in print by Shambhala. Interesting to compare this translation with the one by Price and Wong. It is also available through on-line booksellers including Amazon. The Way of Action: a working philosophy for Western life. Available from on-line booksellers including Amazon. A Western Approach to Zen, is published by Theosophical Publishing House (Wheaton, IL 800/669-9425). Amazon link. The Collected Works of St. John of the Cross, includes Ascent of Mt. Carmel, Dark Night of the Soul, Spiritual Canticle, and Living Flame of Love, as well as letters, poetry, and his Sayings of Light and Love; translations by Kicran Kavanaugh and Otilio Rodriquez. Published by ICS Publications; also available from on-line booksellers including Amazon. The First & Last Freedom, published by Harper Collins. Amazon listing. listing. Freedom from the Known, also from the above source. Amazon listing. J. Krishnamurti: A Biography, by Pupul Jayakar, is especially informative concerning his earlier life and teaching methods. Published by Viking Penguin; parent company Penguin Putnam. Also available on Amazon. I am That: Talks with Sri Nisargadatta Maharaj, published by the Acorn Press, Durham, NC. Available from on-line booksellers including Amazon. Seeds of Consciousness: The Wisdom of Sri Nisargadatta Maharaj, also from the above sources. Amazon listing. Talks with Sri Ramana Maharshi, available as a free download from the Ramana Maharshi Asrama. Also available from on-line booksellers including Amazon. The Collected Works of Ramana Maharshi, edited by Arthur Osborne. Available from on-line booksellers. Amazon link. Video tape: The Sage of Arunachala. Amazon listing. Images of Essence: The Standing Now is a contemplative meditation in words and pictures conveying an achingly beautiful reminder of our quest for light, love, truth, and being. Its harmony of sight and sound remind us of our true home. 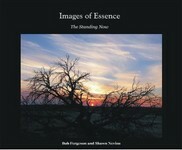 Images of Essence on Amazon  a beautiful present for yourself, a loved one, a friend. The TAT Foundation web site, which features the teachings of Richard Rose, the TAT Forum (a monthly e-zine of emerging spiritual voices), a listing of worldwide Spiritual Gatherings, a directory of worldwide Solitary Retreat Facilities, and links to the Best Spiritual Sites on the web. Spiritual Teachers website. This invaluable spiritual search guide is designed to save you time. Redesigned, including the launch of the Journals of Spiritual Discovery podcast featuring in-depth, insightful interviews with spiritual teachers, exploring what we can learn and apply from their life stories. Poetry in Motion Films: "Documentaries for the soul" – inspiring and challenging films that explore the spiritual, philosophic, and metaphysical dimensions of life. Call it spiritual cinema, spiritual documentaries, or spiritual films – engaged in examining the perennial questions: where did I come from? what has meaning? why am I here? where am I going? what is this place? Includes film clips, spiritual cinema links, and notes on low-budget filmmaking. The Mystic Missal (A Door to Ways and Means on the Spiritual Path), the Nostalgia West spiritual photography site & The Listening Attention (A Gateway to Within). SearchWithin.org: A searcher's personal story of meeting Richard Rose and a selection of items by and about "a man who changes lives." Also includes a section of downloadable articles by and about Richard Rose, transcripts of talks, and selections from TAT Journal archives. The Headless Way web site (Teaching of Douglas Harding). The Great Space Center & American Sage of Advaita Vedanta & The Merrell-Wolff Fellowship site & The Franklin Merrell-Wolff site. Raleigh NC Triangle Inquiry Group: Provides an opportunity to meet up with others involved in the search for Truth and Self-definition via self-inquiry. Gurdjieff International Review, essays and commentary on the "fourth-way" teachings of G.I. Gurdjieff. Wei Wu Wei archives (Writings of Terence Gray). Allspirit spiritual writings, poetry, quotations and song lyrics. First Know Thyself: an umbrella for groups meeting in different parts of the country of those who are seeking to truly understand themselves. Never Not Here, a video journal about Richard Miller's journey through life  including dozens of interviews with spiritual teachers and live web casts. Also includes videos from the April 2011 TAT Foundation The Heart of the Matter intensive: Bart Marshall (The Way of the Heart); Bob Fergeson (The Listening Attention); Bob Cergol (What Is the Focus of Your Attention? ); Mike Conners (Effortless Meditation); Shawn Nevins (interview, and poetry reading with Deborah Westmoreland; and Art Ticknor (interview). Nisargadatta Maharaj. This page on the Spiritual Teachers site is a good intro. The interview of Alexander Smit provides a fascinating look at how Nisargadatta worked. Capacitie was the word used by Thomas Traherne to describe essential being. This site is especially valuable for the section on the contemporary specialist in the field, John Wren-Lewis. There's another section on Douglas Harding, one on the dialogue meetings (inspired by David Bohm) in Sydney, NSW, and an online newsletter, "Now." Double Take on Life "nitty gritty to neti neti." Two friends—one living in Canada, one across the border in the US; one male, one female—have partnered to create a blog site, which they hope others will enjoy and respond to. William Samuel & Friends: Introduction to the life and teaching of William Samuel (1924-1976). Tess Hughes: Spiritual Awakening Is the Purpose of Life. "This site is about offering some crumbs at the table of Returning to our True Nature. It's about spiritual development, which is synonymous with dissolution of the ego. There are links to sites which have helped me on my path." What Is Self, published by Sentient Publications. Amazon link. The Experience of No-Self, published by State University of New York Press. Amazon link. Collision with the Infinite: A Life Beyond the Personal Self, originally published by Blue Dove Press. Amazon listing. Intro. to Zen Buddhism, published by Grove Press. Amazon link. The Zen Doctrine of No Mind: The Significance of the Sutra of Hui-neng, published by Samuel Weiser, Inc. Amazon. Tao te Ching, translated by Stephen Mitchell, published by Harper Collins. Available on Amazon. Transmission of Light: Zen in the Art of Enlightenment. Translation of the Zen classic Denkoroku, attributed to thirteenth century master Keizan. Published by North Point Press division of Farrar, Straus & Giroux; distributed by Von Holtzbrinck Publishing Service. Amazon listing. The Golden Age of Zen. Published by World Wisdom. Available on Amazon. Zen Flesh, Zen Bones, a collection of Zen and pre-Zen writings compiled by Paul Reps, published by Shambhala and others. Amazon link. if any of the source or link info becomes outdated. Thanks.